Convert MKV to any format and vice versa with super fast speed and full quality output. Support 1,000+ video formats such as MP4, MOV, AVI, WMV, etc. Download YouTube videos to MKV by pasting URLs directly. Burn MKV videos to DVD/Blu-ray disc with free menu templates. To keep pace with the evolving trend, you need to have your own desktop, laptop, portable media player, MP3 players, handheld consoles and mobile phone. As there are many video formats required to run the gadgets, a video converter can add twist to your media-entangled life. Generally, you have very little time to manage your video files and thus, which calls for the need of a practical and instinctive video converter to handle your video files. FYI, you can take a look at the top 5 free MKV video converter to keep your video collection more simplified. 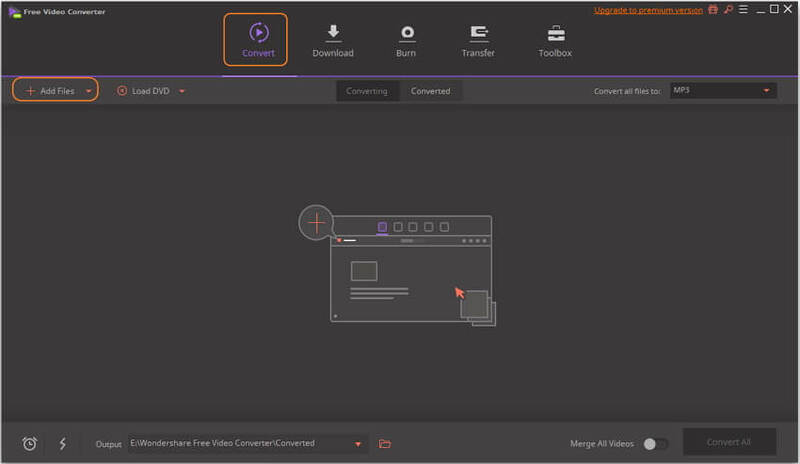 Wondershare Free Video Converter is a drag-and-drop converter for video files that enables you to convert or burn home DVD to and from any video format. Unlike other video converters, Wondershare Video Converter offers 30 times faster conversion speed. It helps to make your videos versatile by converting them to an AVI, MKV, DVD, MP4, WMV, SWF, 3GP, MPEG, MP3 or PSP. Besides, you can also burn videos to DVD folder, ISO files or DVD discs. Also, you can record videos from Google, Yahoo, YouTube or other video-sharing sites. Broad Format Support: Convert to a vast range of HD and SD video formats, including common HD video format like HD TS, HD MPG, HD WMV, HD MP4, HD MKV, etc., popular SD videos like AVI, MP4, MOV, WMV, MKV, MPG, MPEG, H.264 and more. 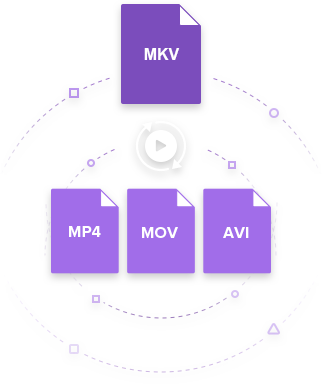 Export Audio from MTS Video : Extract audio files from AVCHD recordings and save them as MP3, WMA, M4A, WAV, APE, FLAC, AAC, AC3, MKA, OGG, AIFF, RA, RAM, MPA. Enhance Videos with Rich Edit Functions: Crop the black edge to full screen, trim unwanted part, rotate sideway videos, and merge several videos into a single one, apply some interesting picture or text watermark to make it more unique and stylish. Download, install and open Wondershare Free Video Converter on your PC/Mac. You'll come to the Convert tab by default, then click the +Add Files button on the left-top corner to open file browser and select MKV videos you want to convert. After your MKV videos have been added, you can find them as thumbnail on the interface. Go to the Convert all files to: list on the right-top corner, select your desired video formats by click the Video tab, all available formats are list here. You can also select different video resolutions. After all things are ready, click the Convert All button to convert all MKV videos to other format in batch. You are allowed to customize the output file location by click Output button. Your MKV files will be converted for free after a few minutes. Wondershare Free Video Converter will help you convert MKV videos to any format and vice versa, just follow the steps above. Freemake Video Converter is one of the freeware video converters for converting files with watermark. You can use Freemake Video Converter to convert video formats, create photo slideshows, visualize music and rip video DVDs. This video converter can burn attuned video streams to Blu-ray Discs or DVDs in order to upload them to YouTube. Freemake has actually evolved as a free program that enables video conversion and offers an alternative to paid software. With Freemake Video Converter, you can converts video files to an AVI, MKV, DVD, MP4, WMV, SWF, 3GP, MPEG, MP3, PSP and also other compatible formats for your Android, iPod, iPhone and etc. This is another sought-after free video converter, editor and player for Windows and Mac. 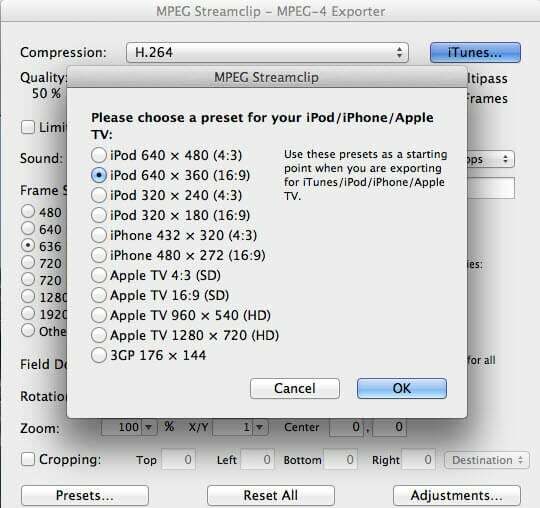 MPEG Streamclip can play many more video files other than MPEGs. This video converter can convert MPEG files involving muxed or demuxed formats and can encode videos to other formats that includes iPod. MPEG Streamclip enables you to download videos from YouTube or Google just by entering the page's URL. 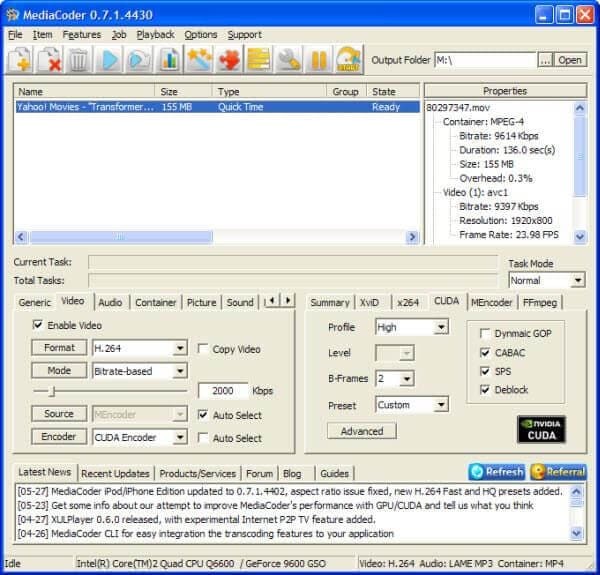 Developed since 2005, MediaCoder is a media transcoding software that is popular worldwide. It presents a perfect blend of cutting-edge audio and video technology into an out-of-box solution of transcoding. 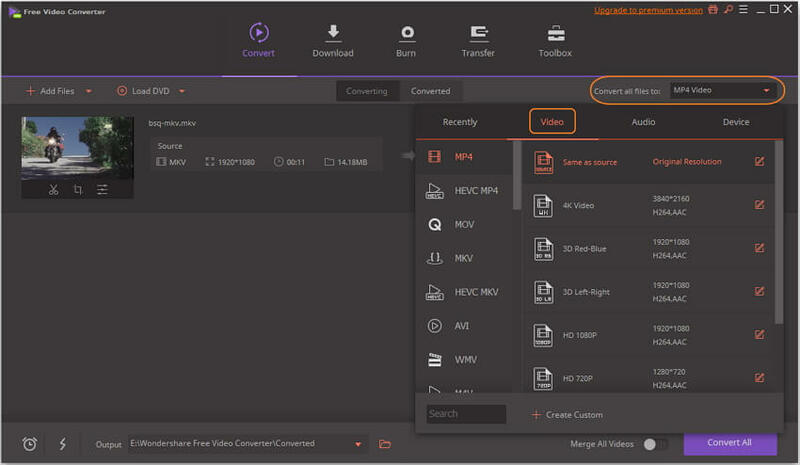 It features a set of adaptable parameters to let you have control over transcoding. MediaCoder is not that easy, but it is certainly the best when it comes to performance and quality. Clip Converter is one of the best applications for online media conversion that allows you to convert, download and record any video or audio's URL to any other formats. At present, the services that ClipCoverter supports include Direct Download, Dailymotion and YouTube among the others. Clip Converter is a free as well as the fastest to enable you in watching the most liked YouTube videos on mobile phones, iPhone, PSP and many other devices.